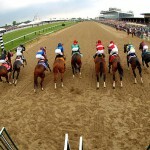 Horses exiting the Kentucky Derby have a leg up in the Preakness. A remarkable 23 of the past 26 Derby runners captured the second leg of the Triple Crown. The exceptions came during the 21st Century: Rachel Alexandra, ’09; Bernardini, ’06; and Red Bullet, ’00. Four Derby champs the past decade were successful at Pimlico: Big Brown, ’08; Smarty Jones, ’04; Funny Cide, ’03; and War Emblem, ’02. Two others ran second: Mine That Bird ’09 and Fusaichi Pegasus in ’00. Three others that failed at Churchill Downs during the same period triumphed in the Preakness: Curlin, ’07; Afleet Alex, ’05; and Point Given, ’01. Horses that skipped the Derby en route to Pimlico Preakness had their best showing during the early ’80s. Three horses that bypassed Louisville captured the Preakness: Deputed Testimony, ’83; Alomas’s Ruler, ’82; and Codex, ’80. Preakness favorites haven’t let down the betting public during the past decade, winning seven times, including five that exited the Derby. Meanwhile, double-digit winners have been few and far between – only 10 since ’75 when the longest shot in history, Master Derby, returned $40 on the front end. The last was Bernardini, who rewarded backers with $27.80 for $2. Among those 3-year-olds confirmed for the Preakness are Derby winner Animal Kingdom, third-place finisher Mucho Macho Man and beaten favorite Dialed In, who ran eighth. Shackleford, fourth, and Santiva, sixth, are possible. In addition, there could be as many as nine newcomers in the field limited to 14 starters on May 21. 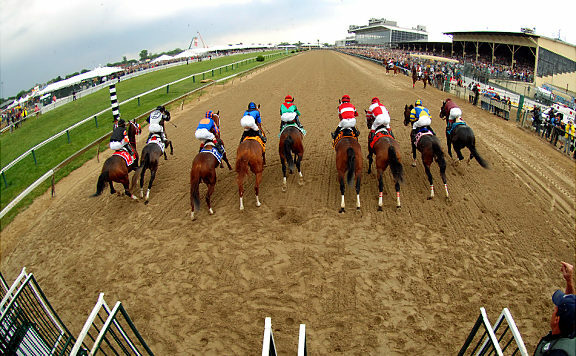 My betting formula for the Preakness includes some of the usual handicapping tools: form, race conditions, connections, etc. First and foremost, as far as I’m concerned, any contender should exhibit form, plus necessary morning workouts since the last outing. For example, 3-year-olds that haven’t raced in more than 30 days should show a work at Pimlico and ample evidence they have a history of performing well off layoffs. It’s a good idea to visualize how the Preakness will be run: who the front-runners will be, what contenders will be stalking and which runners have the best chance of closing. One myth perpetuated over the years ballyhoos Pimlico as a speed-favoring surface with sharp turns that favor front-running horses. Actually, the turns are almost identical to Churchill Downs. However, keep in mind horses in the lead turning for home have the edge since the stretch is 168 feet shorter that Churchill Downs’ 1,320 feet. The largest winning margin in the Preakness came seven years ago when Smarty Jones cruised to an 11 ½-length victory, besting Funny Cide’s record of 9 ¾ lengths. Ten lengths was the winning margin in the inaugural Preakness in 1873. The aptly named Survivor set that record. Since the ’90s, I’ve wagered on several winners of the Preakness who disappointed in the Derby: Hansel, ’91, who also won the Belmont; Timber Country, ’95; Louis Quatorze, ’96, who led at every call; Point Given, who also captured the ’01 Belmont; and Afleet Alex, who duplicated that feat in ’05.